Sometimes people lose their Fitbit Charge HR charger or need an additional one for their family. 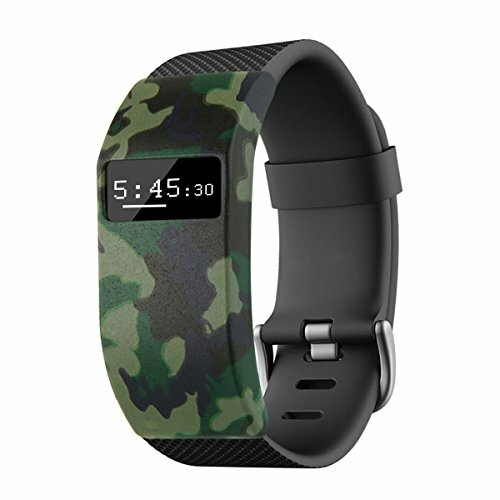 Don’t know what a Fitbit Charge HR is? Read my Charge HR Review here. You are at the right place here if you are looking for an additional Fitbit Charge HR charger cable. Or maybe you need an USB wall mount charger that you can leave at your workplace? Or you desire fashionable protection sleeves to bring some colors to your life? Continue right here and check my favorite list of Fitbit Charge HR charger cables and accessories. Additional notice: Click here for Fitbit Blaze replacement parts and here for even more Misfit accessories. 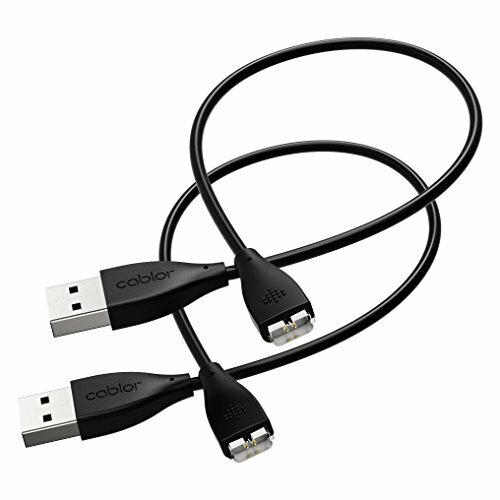 Cablor’s Fitbit Charge HR charger cable is one of the top sellers on Amazon. In this package you will get 2 charging cable that have the latest smart charging integrated circuit for faster and safer charging. According to Cablor the IC will protect your Charge HR from overcurrents. Because the Cablor charger cable was specifically designed for the Charge HR it fits very good and tight into the Fitbit. Of course you can charge your Fitbit on your PC or laptop. But sometimes there is none available. 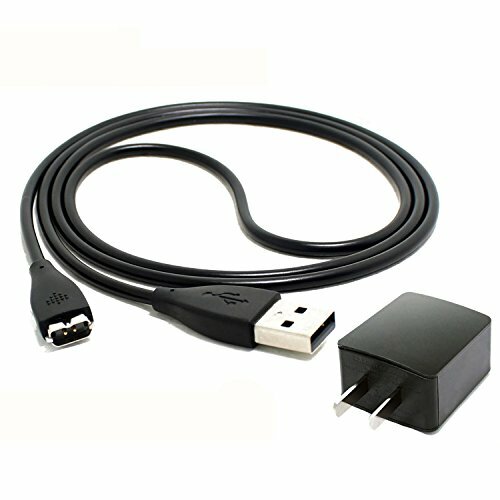 So in case you also need a USB wall mount you should consider the following charger cable for your Fitbit. BLACK FRIDAY DEAL: $5.99 ONLY. / 100% new Extra Replacement Charger Cable + Plug for Fitbit Charge HR Wristband. NOTE: Suitable for Fitbit Charge HR only, NOT for any other models. Made of TPE material and premium quality copper wire, which is much more durable than many cables in the market. This designer sleeve protects your Fitbit from getting damaged if it falls on the ground. Moreover it also adds color to your life. Another Hint: this sleeve does not include a screen protector, please see additional screen protectors below. Color cover fits to Fitbit Charge HR / Fitbit Charge. Slides easily into place, multi color selection. Turns your fitness tracker band into a fashion statement. Track your steps in style wherever you go. Another protection sleeve that gives your Charge HR a unique camouflage look. Especially suited for people who wear camouflage outdoors or even hunters. If you are looking for a fancy protection sleeve this might be your first choice. It protects your Fitbit from damages. And multiple colors bring happiness to your life! 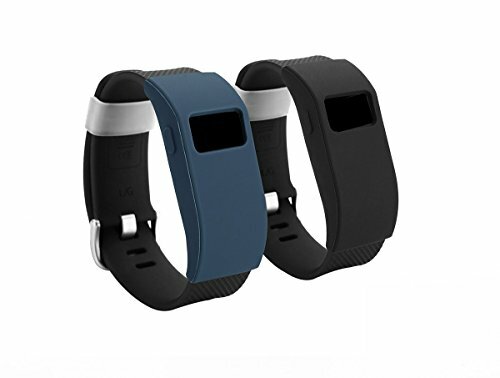 Works with both Fitbit® Charge HR and Charge devices. Does not include the Fitbit® device or band. Believe me: Nobody likes scratched and damaged screens. Many people have noticed scratches on their Fitbit. 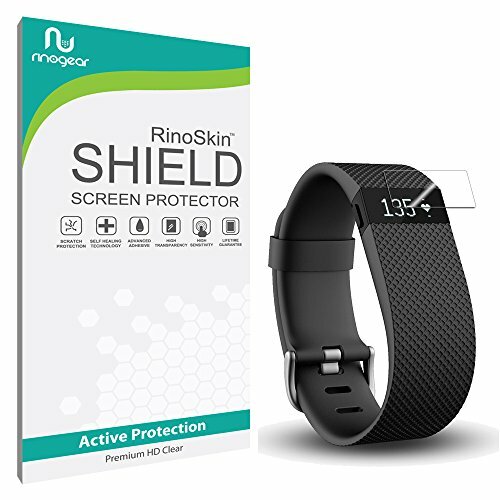 Thus avoid scratches and fingerprints on your Fitbit screen with a screen protector. Just attach the protector on your screen and replace it once it gets older. Some people also reported in the Fitbit Community that they lost their Fitbit because their bands clasp unfastened accidently. 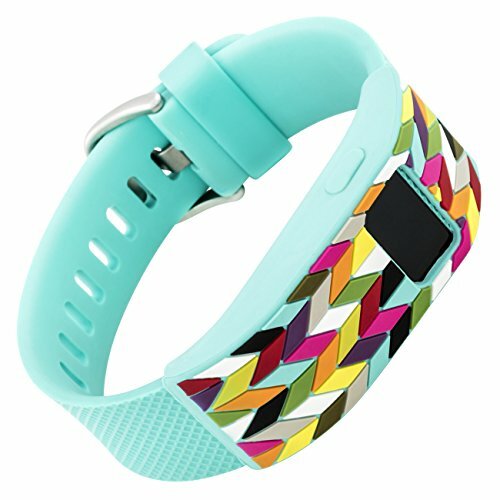 But there is a help to avoid losing your Fitbit: Try out these silicone fasteners that hold your Fitbit band in place. Made of flexible and skin-friendly silicone. 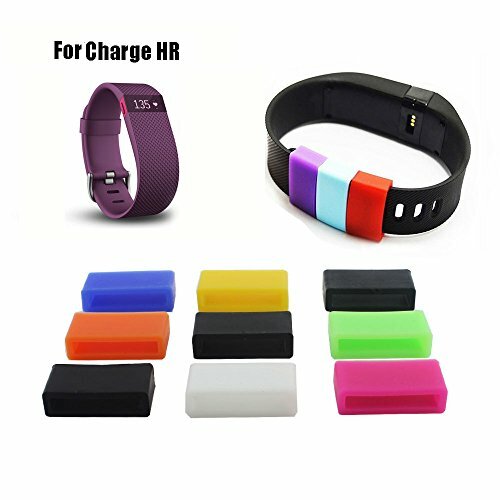 Adds multiple colors and additional safety to your activity tracker. Moreover the silicone fastener also protects your skin from the metal clasp. A must have for Fitbit Charge HR that used to secure the band in case it loose and drop. Only include silicone rings,Not include the band for Fitbit Charge HR. This simple insurance will keep your Fitbit safe. Light weight and more flexible.